Camp Ondessonk | There are many ways to make a gift and multiple areas where your support is greatly needed. 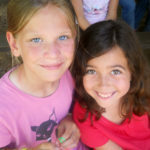 You have three easy ways to give a gift of cash to support Camp. You can make an online donation, download a Camp Ondessonk Donation Form and return it by mail, or call 618-695-2485 and make a gift over the phone using your credit card. You now have the opportunity to support Camp Ondessonk with a cash gift of your choice, with the ease of our Monthly Giving Program. You can choose the amount of your monthly gift, and on the 19th of every month, we will arrange an ACH or bill your credit card to support the program or appeal that means the most to you. To enroll in Camp Ondessonk’s Monthly Giving Program, download an Ondessonk Monthly Giving Program Brochure and Ondessonk Monthly Giving Program Enrollment Card, or sign up online at Donate Now. Imagine your employer doubling or even tripling the amount you wish to give! Many companies have matching gift programs and will match charitable contributions given by their employees. Some will even match gifts made by retirees and spouses. In addition to cash contributions, Camp Ondessonk donors may make a non-cash gifts. These gifts could include stock and securities, real estate, personal property and other items (sometimes called “gifts in kind”). Because non-cash gifts require additional paperwork, review and approvals, we encourage donors to contact their financial advisors and the Camp Ondessonk Director of Development when considering a non-cash contribution option. Camp is always in need of program supplies, maintenance materials and equipment, office supplies and many other items that help our camp operate smoothly. Check out our Wish List for the latest listing of items! Planned giving is a way for individuals to provide financial support to an organization during their lifetime and even beyond. Many planned giving arrangements are typically made known in a will or trust that goes into effect after their death. By supporting Camp Ondessonk with a planned giving arrangement, you will help thousands of current and future campers experience Camp and its mission. To begin your planned giving process, please consult with an attorney, tax adviser or professional estate planner to ensure you are going to realize the greatest benefit from your gift. We would be happy to meet with you to discuss your plans! For fifty years, Camp Ondessonk has been blessed with strong support from thousands of volunteers. Ondessonk volunteers come in all shapes and sizes and from all walks of life. Some have qualifications for a specific job; others are motivated by a simple desire to serve. Volunteers have the opportunity to be a camper’s hero by contributing to the organization. Further, a volunteer who annual contribute 100 volunteer hours have the opportunity to become Ondessonk Founder.